Have you booked your ticket to the Sudha Ragunathan concert on Feb. 25th? If you haven't, hurry! The sale of tickets is very brisk indeed. 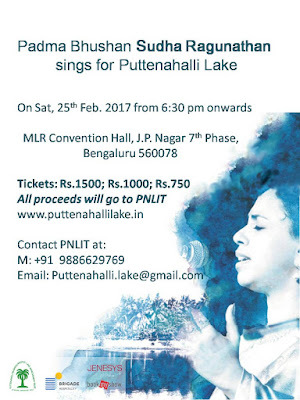 Don't miss this wonderful opportunity to listen to one of our most acclaimed Carnatic vocalists at MLR Convention Centre right next to the cause she's supporting - Puttenahalli Lake. 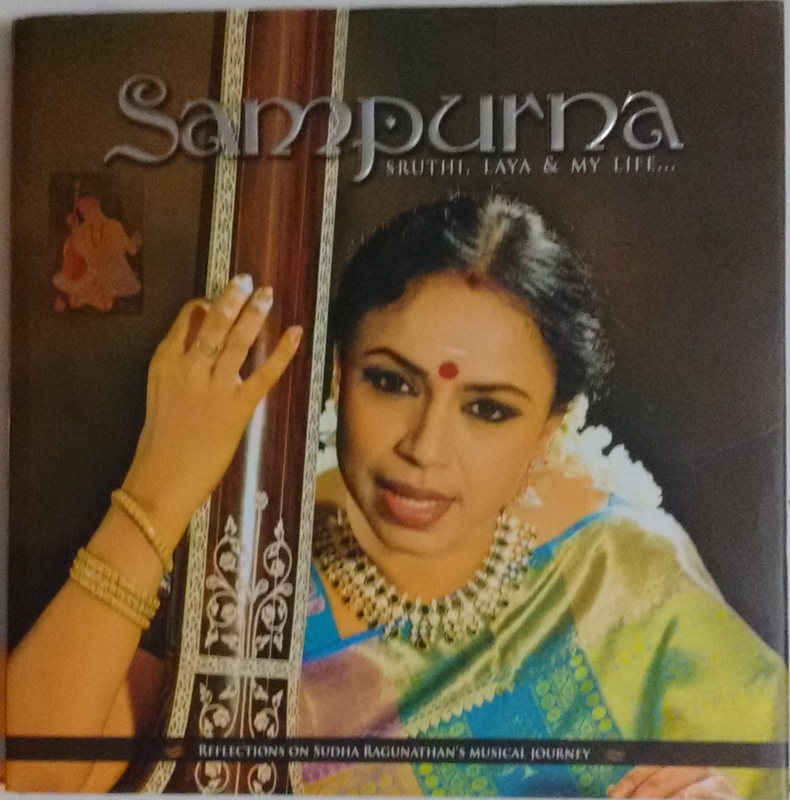 Sudha Ragunathan has very kindly offered PNLIT a few copies of her gorgeous coffee table book Sampurna Sruthi, Laya & My Life. 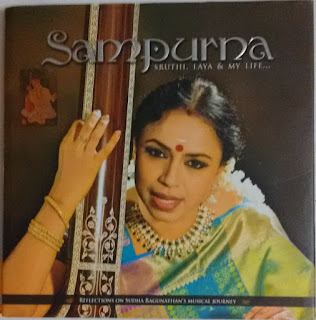 This is a pictorial reflection on her musical journey, published by Audio Media Inc. and includes a CD on her thoughts and evolution as a singer. The cost of the book is Rs.1999. 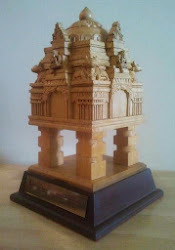 We have decided to share the proceeds equally with the Samudhaaya Foundation, set up by this philanthropic artist. We will get only as many copies as are reserved in advance. 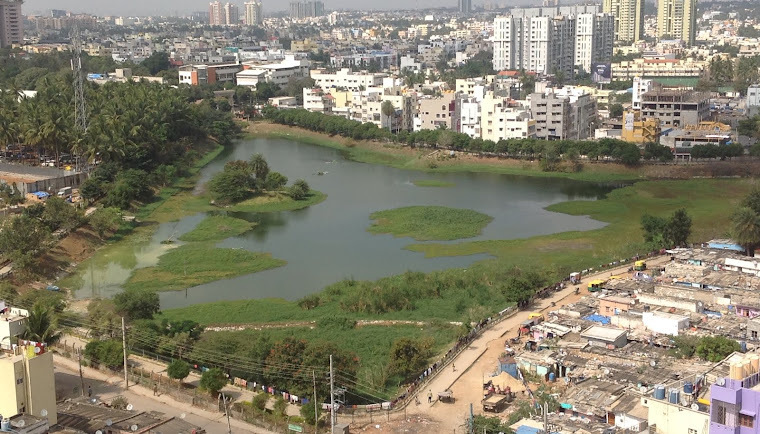 If you'd like to get one of these limited edition books, please email puttenahalli.lake@gmail.com. You will own an autographed book to cherish and at the same time you will be helping both PNLIT and Samudhaaya Foundation. A blessing thrice over!